This program of two guided relaxation exercises has been developed to reduce the stress that can cause or make worse your situational hypertension. By using these exercises regularly, over time, you increase your awareness and increase peripheral vasodialation that can help reduce your high blood pressure (*warning: high blood pressure should be treated as a possibly life threatening condition and should be treated by your doctor. Consult your physician before reducing your high blood pressure medication based on your success with lowering your blood pressure and voluntarily raising your peripheral hand/foot temperature.) These guided relaxations are also recommended for the control of stress/tension that can create or intensify stress related: panic/anxiety and some gastrointestinal symptoms. About 52 minutes in duration. 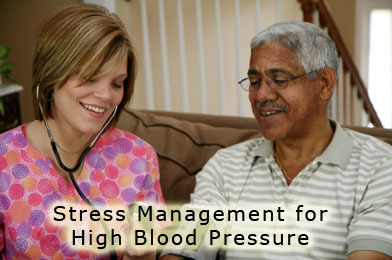 There two different guided relaxations for high blood pressure control. You will have a choice to select the best guided relaxation for your requirements. With practice you will get better results. It takes time and practice to learn how to relax. Combined with temperature training biofeedback (see article at website), you will develop awareness and control of your peripheral blood flow and this will lead to better control over stress related high blood pressure. Allow 8-12 weeks of regular use for the best results to begin. Remember: Contact your physician regarding reducing (or changing) your high blood pressure medication if necessary.